In our 35+ years of throwing casino parties, we have hosted our fair share of bachelor and bachelorettes. These celebrations are unique, special occasions where friends seek to kick-back, relax and have fun. It's a joyous, momentous time for the bride and groom-to-be, and we love making the outing a night to remember. 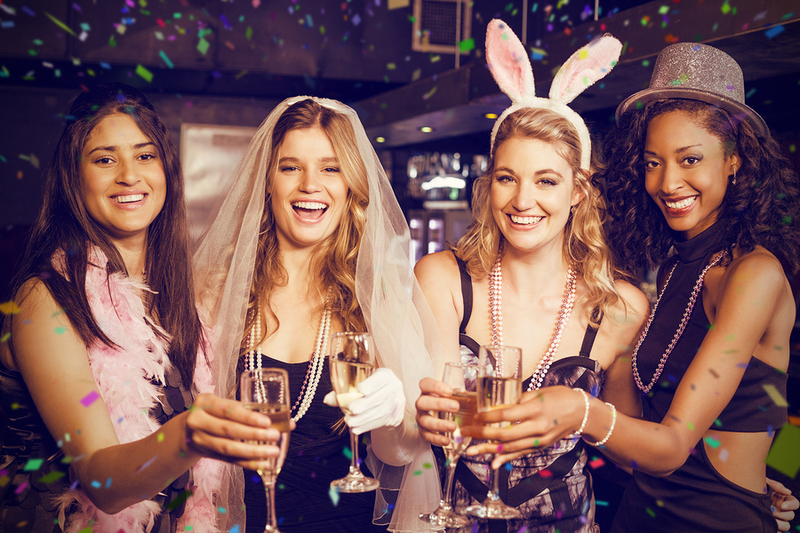 If you’ve been tasked with putting together an epic bachelorette or bachelor party, you're probably already aware of the immense amount of work that goes into planning. Here are a few of our top bachelorette and bachelor party planning tips that we share with our clients. A common error among party planners is mistaking what the bachelor or bachelorette might enjoy. A well-meaning maid of honor or best man goes to great lengths to throw an epic party, but the guest of honor doesn’t have fun. The party organizer was throwing the most idealistic bachelorette or bachelor party they could imagine--the only problem is they aren’t the one getting married. The cardinal rule of planning a fantastic bachelorette or bachelor party is to make the bride or groom-to-be the priority at all times. Every decision made should consider the individual's likes and dislikes, as the party is ultimately being thrown for them. Most epic bachelor and bachelorette parties have a theme to guide the festivities. Casino Knights Inc. gets called anytime there’s a Vegas night or casino-themed bachelorette or bachelor party in Central Texas. But there are an endless number of ideas you could use for a theme. Even if you’re keeping some details a surprise, let the bride or groom-to-be help choose the theme. You can also use the wedding or the couple’s relationship as inspiration for a party theme. Are you planning on going all out, or trying to throw a party on a tight budget? Either way it’s best to have a good idea of what the night will cost before you start to party. Be sensitive to the budgets of others by keeping the party within the means of the person/people with the biggest budgetary constraints. Also, be sure to account for covering costs for the guest of honor. There are few times when RSVPing matters as much as it does for a bachelorette or bachelor party. This is especially true if you’re planning a destination party, have to arrange hotel rooms, or need to rent a venue. Try to lock in a headcount no less than a month or two in advance. The number of partygoers can affect the per person cost, so having an estimate helps all participants budget for the event. Having a bachelorette or bachelor party the day before the wedding isn’t the best idea. You should schedule at least 3-4 weeks out from the wedding so the bride and groom can kick back and relax instead of worrying about the last minute details. Begin planning the party at least a few months in advance if you plan to stay in town and at least four months in advance if the party involves travel. If the bridal party is spread out or very large you may have to consider throwing two separate parties to accommodate everyone. We understand that you want to make the bachelor/bachelorette day, night or weekend party an amazing event everyone will remember the rest of their lives. But sometimes that leads to overscheduling, which makes the event feel more like a checklist than a party. Resist the urge to overschedule by focusing on no more than 2-3 events/venues per day when planning the party. Let the party planners at Casino Knights Inc. help you plan an epic casino-theme bachelor or bachelorette party! Our over-the-top Vegas style parties are also a great option for couples that want to party together. Give us a call to discuss your event; we can accommodate parties of all sizes.